Chinese American food writer Jen Lin-Liu, founder of a cooking school in Beijing, is looking for her next project. She decides to travel the Silk Road from China to Europe, eating noodles, meeting chefs, and researching the origins of pasta. No, Marco Polo didn’t bring pasta to Italy from China, but both countries have similar noodle dishes. Jen has recently married American writer Craig, and isn’t sure how her desire to travel will affect their marriage, and where they will settle down to live as a couple. Traveling to western China, she asks two chefs from the cooking school to accompany her, and they eat and cook their way west. On the rest of her journey, sometimes her husband accompanies her, and for a while his parents, but the rest of the time she travels alone. Her journey includes Kyrgyzstan, Uzbekistan, Turkmenistan, and Iran. She meets hospitable people almost everywhere, and enjoys many home-cooked meals and access to restaurant chefs and kitchens. A variety of regional foods are vividly described, and a number of recipes are included. While the spices and meats change, many of the dishes are quite similar. Unexpectedly, rice and flat breads replace noodles for a good part of the trip. As much a memoir as culinary travel narrative, Jen is curious about the role of women in the different countries she visits, and how they mix work, marriage, and raising a family. She learns that even seemingly modern men expect their wives to be very traditional, and that mother-in-laws rule in Central Asia. There is a funny scene when Jen doesn’t take her Western mother-in-law’s good advice, and is sorry the next day. In Iran, Jen and Craig feel uneasy, partly because they are required to have a government sponsored tour guide. After reaching Istanbul, they fly home to Beijing for the winter. Jen returns in the spring to visit Turkey, Greece, and Italy, where Craig joins her for the end of the journey. No questions about the origins of pasta are resolved, but many excellent meals are enjoyed along the way. Approaching 70, author/journalist Philip Caputo decides it’s time to realize a dream; to drive from Key West, Florida to the Arctic Ocean in Alaska. He reads up on the history and literature of the places he might visit, rents a vintage Airstream trailer, and finally asks his wife Leslie if she can join him on the trip and help take care of their two dogs. Leslie, a magazine editor, had already figured out a plan to work part-time while on the road. They try to avoid expressways, but sometimes use them. Traveling the Natchez Trace Parkway, they are amazed by its beauty and lack of commercial development. A highlight is traveling the Lewis and Clark trail. Along the way, Caputo interviews 80 Americans, asking them what unites or divides us as a country. Their answers are varied, and thought-provoking. They visit small towns, national parks, reservations, historical monuments, and sample lots of regional food specialties. Traveling and camping with a small trailer and two dogs isn’t always easy, but it’s often funny, such as when Leslie meets “Mothra”, a huge moth, in a campground shower. While I enjoyed reading about the road trip, it was the historical background Caputo shares with the reader that made the biggest impression on me, from learning about the Lewis & Clark expedition, the Nebraska setting for Willa Cather’s books, researching a soldier at the Battle of Little Bighorn, information about the national parks, and more. The small towns in decline were quite a contrast to communities like Grand Island, Nebraska, a multicultural melting pot with immigrants from many parts of the world recruited for factory jobs. References to other travel writers and memories of growing up in Chicago and Westchester round out the book. I think both history buffs and armchair travelers would find The Longest Road well worth reading, as well as anyone interested in reading about what other Americans think about our country today. Read more about the book and watch a book trailer on the author’s website. This is flat-out a great book. It took the author ten years to write in his spare time. When the manuscript was put up for auction the price was bid up to $650,000 dollars. There even was a book published about the making and marketing of this book, entitled: Vanity Fair’s How a Book is Born: The Making of the Art of Fielding. The plot centers around the struggles of the main characters on a baseball team at Westish College called the Harpooners. Henry Skrimshander is a preternaturally gifted shortstop who is recruited out of High School by Mike Schwartz, the Harpooners’ catcher. Although Henry is brilliant on the baseball field, he is shy and introverted and has a hard time adjusting to college life. Also in the mix is Guert Affenlight, the College President, whose staid life is upended by an unexpected romance with one the students. The student in question happens to be Owen Dunne, a gay intellectual, who also happens to play on the team. Pella Affenlight is Guert’s daughter from a previous relationship who shows up on Daddy’s doorstep after a marriage that goes sour. According to Michiko Kakutani of the New York Times: Mr. Harbach has the rare abilities to write with earnest, deeply felt emotion without veering into sentimentality, and to create quirky, vulnerable, and fully realized characters who instantly take up residence in our hearts and minds. He also manages to rework the well-worn, much allegorized subject of baseball and make us see it afresh, taking tired tropes about the game (as a metaphor for life’s dreams, disappointments, and hopes of redemption) and interjecting them with new energy. I enjoyed this book for its small college setting, and for the baseball stuff, but mainly for the affecting characters. I did not want this novel to end. Natural history fans that are willing to suspend their beliefs and delve into the supernatural world, mixed with some horror, may really enjoy this fast paced and entertaining thriller. FBI Special Agent Aloysius X. L. Pendergast, a rather dark, yet nonthreatening and serene character, persuades archaeologist Dr. Nora Kelly to suspend her work at the American Museum of Natural History in order to help him investigate the mysterious serial killings from 130 years ago that have just come to light. Pendergast, Kelly, and William Smithback (Kelly’s boyfriend, a journalist for the New York Times) become obsessed with solving this historical case once they become certain that recent, similarly gruesome serial killings are related. As the plot thickens and the investigation goes beyond their wildest expectations, their own lives are threatened by what appears to be a mad scientist who is hell-bent on concocting an elixir for the greater good of mankind even if it means torturing innocent, human beings. At the beginning of the book, I skeptically focused on the stereotypical attributes that the characters were assigned—yet the fast pace and natural history theme kept me engaged. Almost seamlessly, the characters were later developed into complex beings that I didn’t want to leave behind when I set my book down for the day. Although the story involves the supernatural, the twists and turns that take place as new evidence is introduced during the investigation make perfect sense and chances are you will not be disappointed in the story’s end. Terms that best describe this book are: page-turner; character driven; and conclusive. Readers of this fantasy, investigative series may also enjoy the Harry Dresden series by Jim Butcher, or if the fictional interplay between different centuries and the archaeological aspect intrigues you, give Timeline by Michael Crichton a try. Discover more on the authors’ website. Regardless of where you stand on the Divinity of Jesus this is a worthwhile book to understand both Jesus of Nazareth and Jesus the Christ. Our regular book discussion schedule begins in September. Copies of the books will be available at the Reference Desk by mid-August. 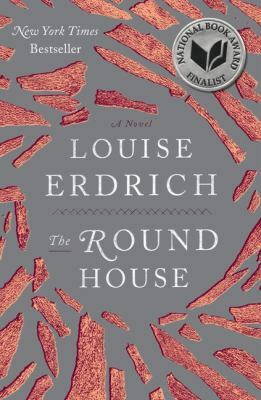 The Tuesday morning book group will be discussing The Round House by Louise Erdrich on Tuesday, September 17 at 10:00 am in Group Study Room 2. This book recently won the National Book Award for Fiction. Here is Brenda’s earlier review. 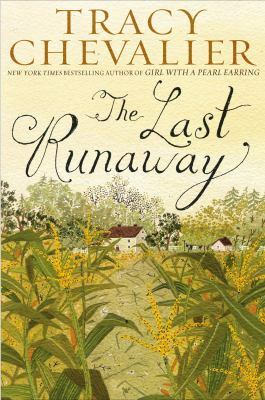 The Tuesday evening book group will be discussing The Last Runaway by Tracy Chevalier on Tuesday, September 24 at 7:00pm. For this date only, we will be meeting in the Administrator’s Office, next to the lobby. Tracy Chevalier’s books are well known by book groups, and by readers of historical fiction. Here is Brenda’s review. The Crime Readers will also begin their discussion schedule in September, meeting every third Thursday at 7:00pm at Home Run Inn Pizza in Darien. This book group is co-sponsored by the Indian Prairie Public Library, which will also be featuring film discussions related to this fall’s books. On September 19, they will be discussing The Postman Always Rings Twice, by James M. Cain.